While the Sydney Opera House is the focal landmark of the Australian city’s harbour district, development of the area had been underway from as early as the 1910s, some 40 years before construction began on the iconic building. One aspect of this development was the widening of Macquarie Street. When this was proposed, Joseph Henry Maiden, Director of the Botanical Gardens, persuaded the authorities to plant an alley with Canary Island Palm Trees (Phoenix Canarienis). In the intervening years the palm trees have since been protected by a preservation order, and have been the inspiration for the planting of many other species in Sydney’s urban districts. 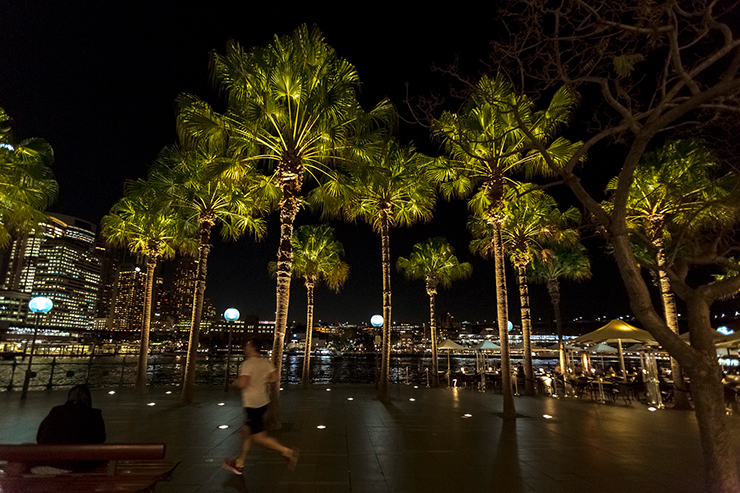 Circular Quay has also been greened with date palms. Until recently these were illuminated after dark by metal halide lamps with a connected load of 35W. 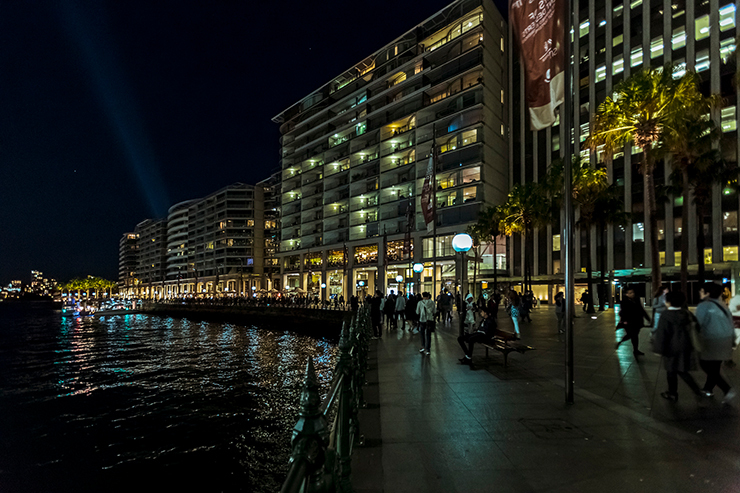 In the interim, the City of Sydney has initiated a new lighting scheme using LED technology. 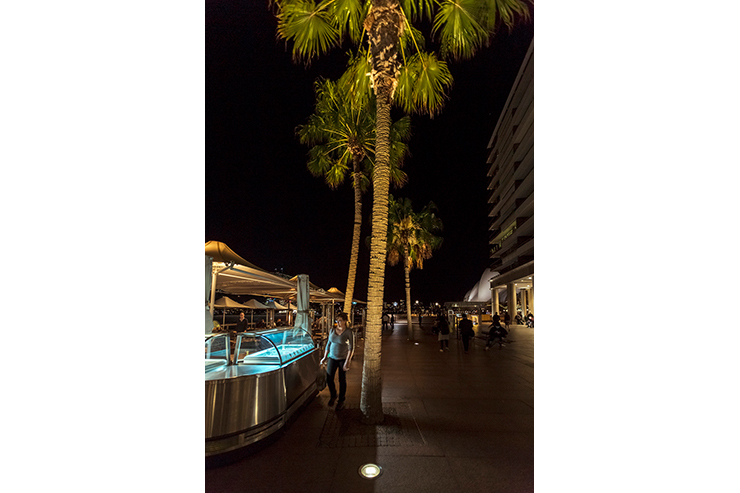 Today Tesis in-ground luminaires from Erco, with a connected load of 15W, set the scene for the palm trees. 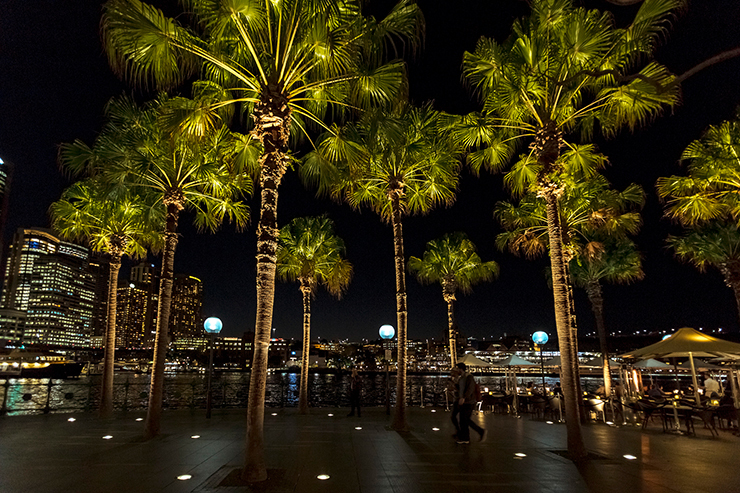 Each palm tree is illuminated by two 3000K spotlights. The exceptionally accurate aligned light not only emphasises the shape of the palm trees, it also brings out the fine structure and subtle colouring of the trunks and leaves. 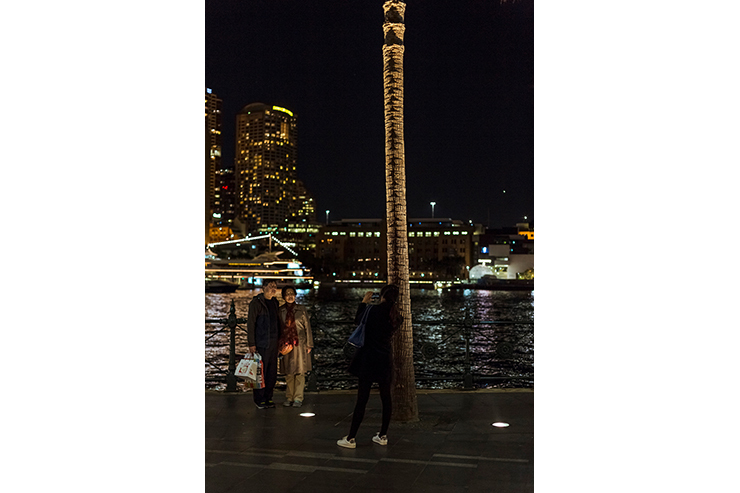 This produces an almost surreal impression, which adds to the attraction for passers-by of a night-time stroll around Circular Quay.